Las Vegas has long provided The Daily Show host Trevor Noah with material—from Vegas puns (which seem to give him genuine joy) around debate season, to more serious matters like gun control after the Oct. 1 shooting—and now he’s getting to see the Strip for himself. The 34-year-old Jon Stewart successor lands in Sin City June 23, when his tour hits Park Theater. The smart, young comedian returns to his standup roots for the tour, touching on immigration, racism and why we can’t all just get along. Expect his material to be politically charged, but there will be plenty more on the menu, too. 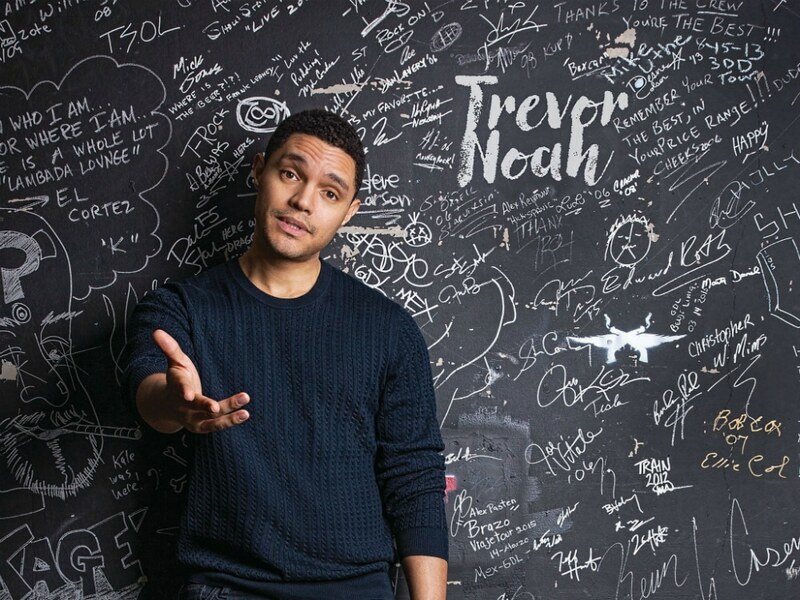 Noah is also known for his storytelling, connecting with audiences via amusing anecdotes from his childhood in South Africa and acclimating to living in the U.S. as an adult. And after going all in (pun intended) on his high stakes (make it stop) Vegas show, who knows what additional material he’ll soon have to work with?